In Bangladesh, summer is a strenuous season; people have to suffer hectic days throughout the summer. Very few people in our country can afford an air-conditioner; so people mainly rely on fans to fight the summer heat. 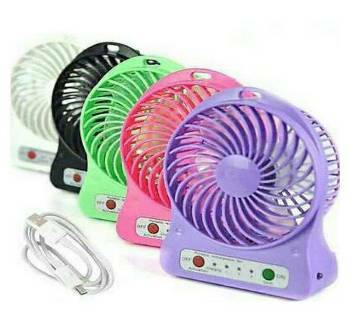 You can buy different types of best quality fans from ajkerdeal.com. We have a great variety of fans on our Site including ceiling fan, table fan, stand fan, multi-functional fan, mini fan and others. Check out our huge collections of ceiling fan for your living room, dining room or drawing room to avoid extreme hot. To get the best cooling refreshment, our latest electric ceiling fans will be act as your all time heatstroke savior. Ceiling fans are the most selling fans in Bangladesh. People want to use energy efficient ceiling fans. At ajkerdeal.com you can find 24”, 48”, 36” and 56” blade sized fans varied by colors and brands. All the ceiling fans are brand new and come with relevant replacement warranty for long years. Table fans are really demandable fans in Bangladesh. These can be set up easily and can be moved easily. Table fans can be verified based on their designs, function ability, colors and sizes. 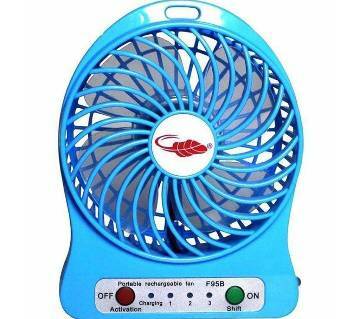 AjkerDeal brings you all the useful table fan types with best deals. 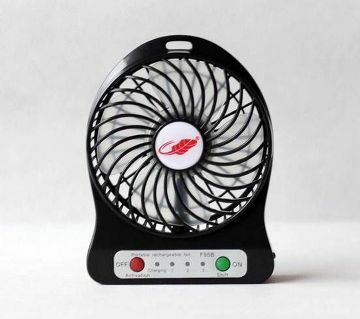 This largest online shopping portal of BD also have special table fans like rechargeable table fans, table fans with power bank, table fan with attached LED lights, USB powered system table fans etc. 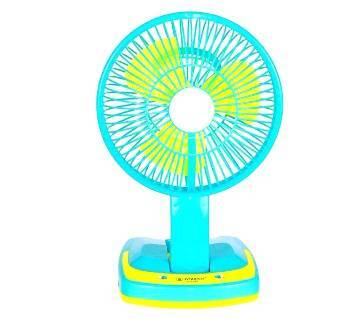 Ease the heat with our rechargeable multifunctional fans. 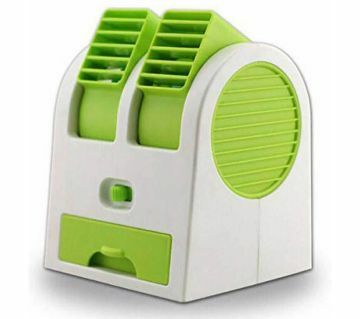 Our multifunctional rechargeable fans come with different features including power bank, LED lamp, FM radio, USB connector, music player with high-voltage battery. Our multi-functional fans run with battery powered and solar powered or with USB port. The patterns, styles, designs and mechanism of these fans are also varied. 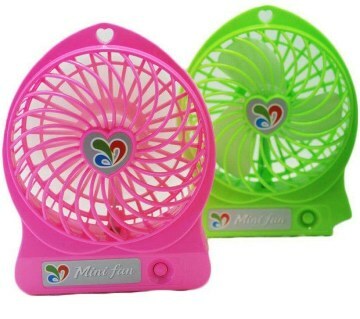 Recently fans with multiple functions are getting more and more popularity day by day. But among those the fans with power bank has got the utmost popularity in Bangladesh as of to match our weather and transportation system. The largest online shopping site of Bangladesh has got a huge collection of such fans. The operating systems of such fans are usually electric, rechargeable, solar and USB. Stand fans are really demandable both for home and office use. 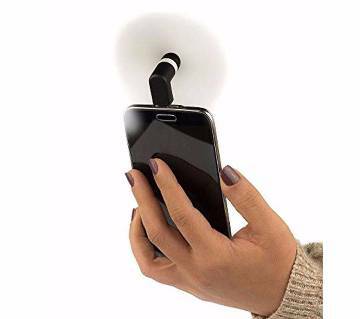 One of the main benefits of using these fans is you can adjust the height of the fan and during running the fan provide a rigid position as well. 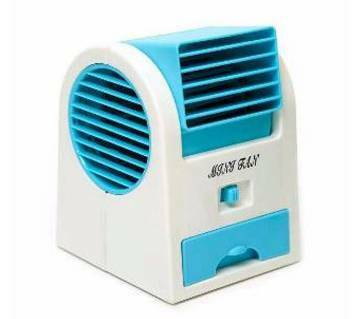 Visit ajkerdeal.com for buying stand fans within your budget from our large collection of stand fans from famous brand i.e. : Mira, Nova, Super Star and others. These fans are made with plastic or metal/stainless steel usually. For the safest and uncomplicated cooling appliances, try our latest collection of fans at your home. Usually, while shopping from online Site, we remain concerned about the warranty issue of that product. But, if you purchase a stand fan from AjkerDeal.com, you can be sure about the authenticity & warranty. At AjkerDeal you can find any household products to buy under a single platform. No matter what are your needs we can assure you to find those at our site with the best prices available in the market of course!